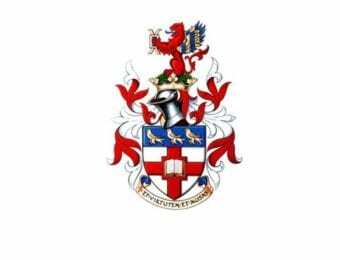 Mill Hill School was first granted arms in 1935, beforehand for probably one hundred years or more a Coat of Arms belonging to by Lord Teynham was used after he told Philip Smith, who was the Headmaster of the School from 1853-60, that the School could use it. 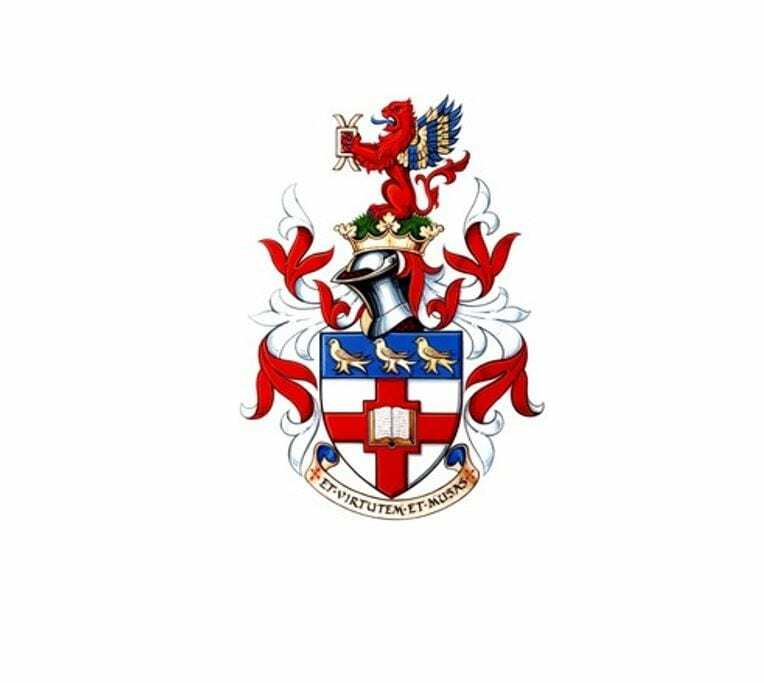 Years later, Col Mitchell, who was Bursar, asked the College of Heralds if he could make a change to the coat of arms, only to be told that Mill Hill School did not actually have one of their own. In order to register our own Coat of Arms the Garter King-at-Arms considered it necessary that a certain ‘Difference’ should be made. The difference he thought should in some way indicate the character of the Corporation to which the Arms were to be granted, and as Mill Hill School is a seat of learning, it was felt that an open book, such as appears in the Arms of Oxford University, would be the proper Heraldic Difference. 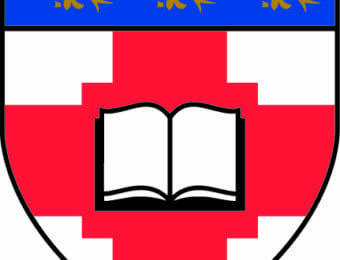 It was decided to charge this upon the plain Cross of St George in the original Arms: the cross was therefore enlarged at its centre, and the Book placed there – the Cross thus becoming what is heraldically known as ‘Quadrant’ ie, the four corners made by the crossing of the two arms are wedged up so as to form a square on which the Open Book is placed. 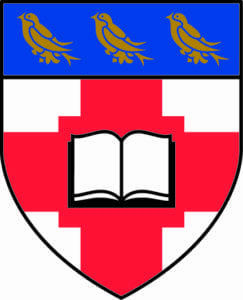 The correct heraldic description of the new Coat of Arms is therefore as follows: Argent; a Cross Quadrant Gules, charged with an Open Book proper; on a Chief Azure three Martlets Or. 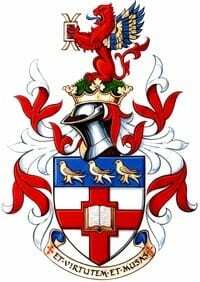 In regards to the Martlets, it may be said that they have a symbolic meaning for Mill Hill, and were chosen partly because Mill Hill has never had any endowment but the land upon which its buildings stand, and partly because these lands slope up to and include the top of the hill, where a mill once stood. 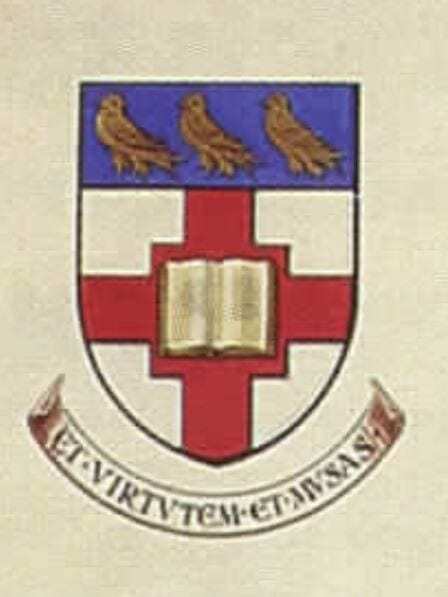 The motto et virtutem, et musas which sits beneath the shield may be translated ‘Character and Culture’. 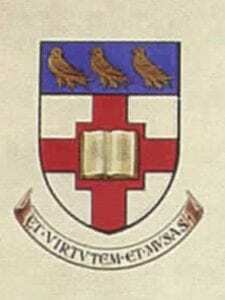 In 2007, a special version of the Coat of Arms was commissioned to celebrate the bicentenary. 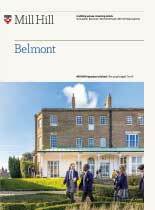 In 2017, a decision was made to bring together the four independent Schools (that formed the Mill Hill Schools Foundation) under a single brand. 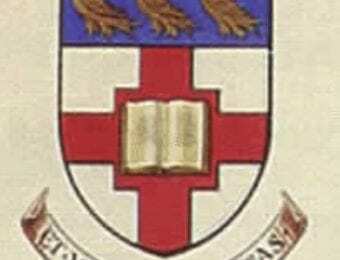 The decision was made to retain the existing crest, the individual School’s names and their associated colours. With the reworking of the crest we retain the key elements of the martlet, the cross and the book/bible from the original. These have been redrawn to ensure consistency and ease of reproduction across the myriad applications at all formats, in print and online, across each school. The martlet itself, being the core element, was beautifully illustrated creating a feature that is totally unique to the Mill Hill crest. We use the martlet as a core feature on certain key applications. Schools are inherently contemporary institutions and we believe that the overall brand and design system creates the perfect balance between Mill Hill’s heritage and it’s exciting vision for the future.